Comodo IceDragon lets you change the way web pages are shown on your screen. You can configure the fonts, color and language of page content. Click the 'Default fonts' drop-down under 'Fonts & Colors' then select the font and font size that you want the browser to display. 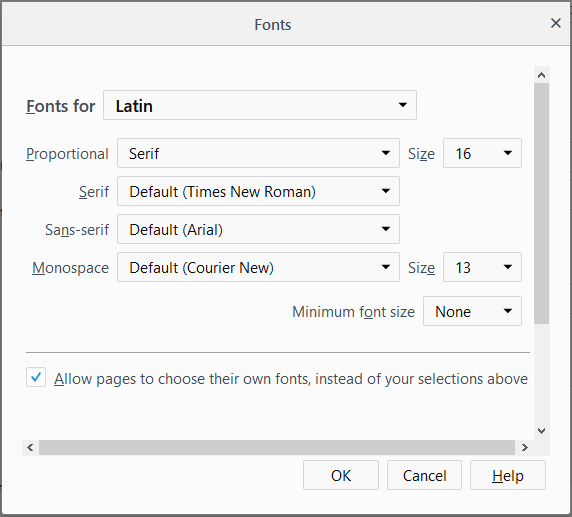 Click 'Advanced', next to the font options to open a new box with detailed choices for configuring fonts. Deselect the check box 'Allow pages to choose their own fonts, instead of my selections above', to disable the browser from using the fonts and colors as set by the websites and to display the pages with your font/color choices. To change the character encoding language, click the ''Fallback Text Encoding' in the 'Text Encoding for Legacy Content' drop-down. Click 'Colors' beneath the 'Advanced' button to open the colors interface box. 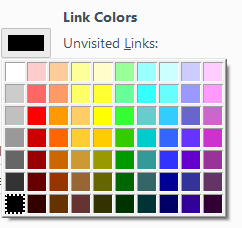 Click on the color patch and select the desired color from the palette to change the colors in which the text, background and links will show. 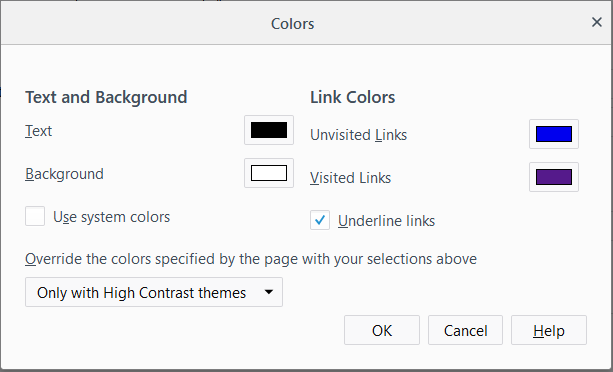 'Override the colors specified...' - will force web pages to use your display settings when rendering pages. This is especially useful for people with visual disabilities. 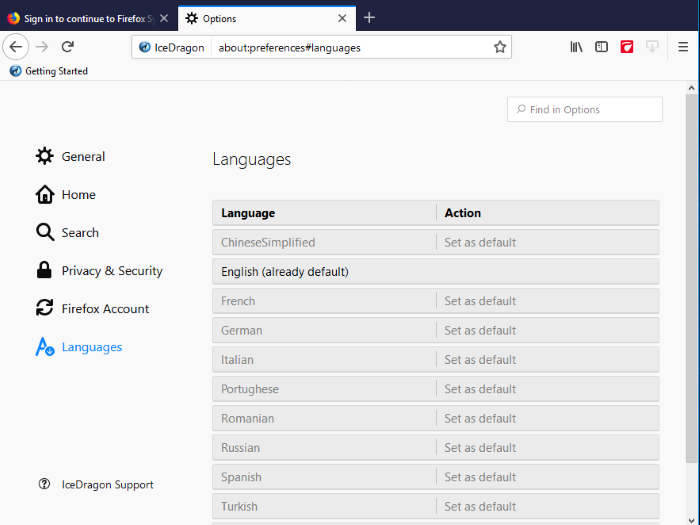 The languages that are currently added to the browser are listed in the order of their usage preference. To add a new language to the browser, click the drop-down button beside 'Select a language to add...', select your desired language from the drop-down, click 'Add'. 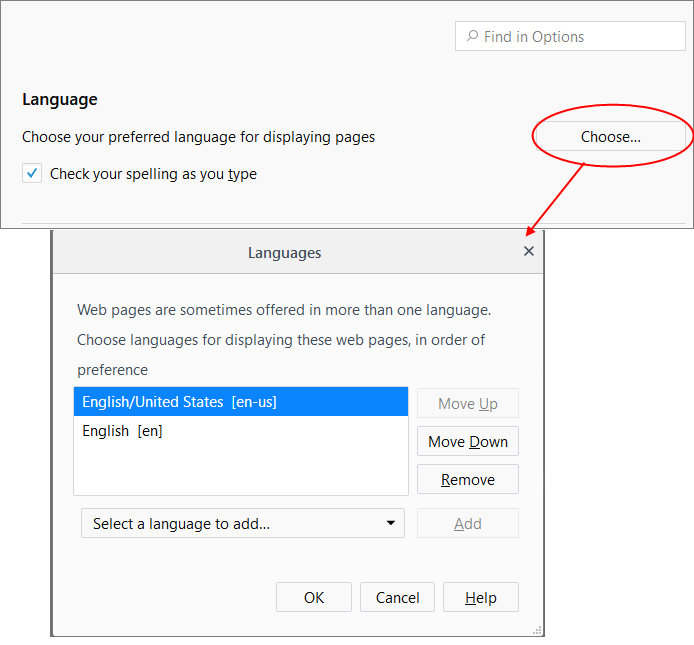 To change the order of preference of languages to be used by the browser, select the language and use 'Move Up' and 'Move Down' keys. To remove a language from the browser, select the language and click 'Remove'. Click 'OK' for your changes to take effect. Check your spelling as you	type – If enabled, the browser will check the spelling of every word or phrase you type into various fields of a web-form. This features requires dictionaries to be downloaded. 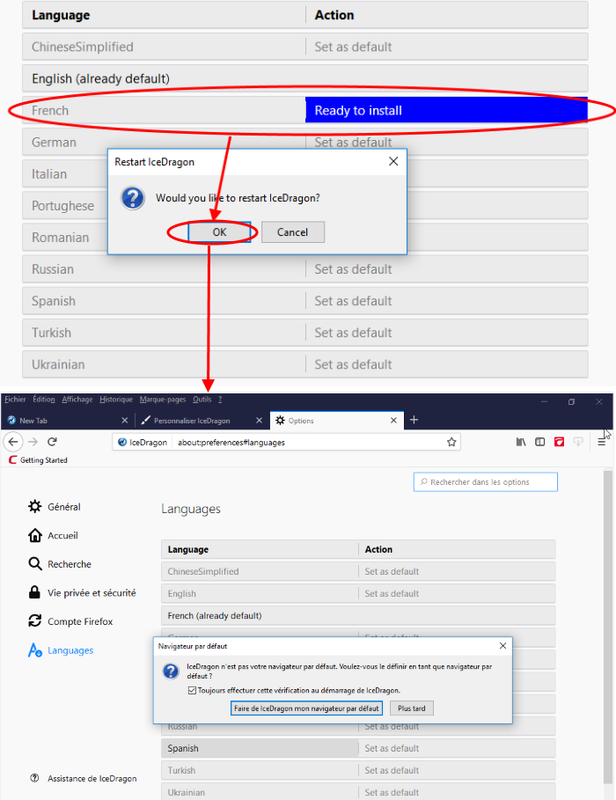 To download a dictionary, while typing inside a field in a web-form, right-click on the field, select 'Languages' from context sensitive menu and select 'Add Dictionaries'. You will be taken the webpage from which you can download required dictionaries. Click 'OK' to restart IceDragon for the settings to take effect.